Welcome to Tom’s Truck Center! We know you’ve got a special job to do and not just any stock truck is going to get it done. You can rely our experts at Tom's Truck Center to customize and build a truck that’s right for the job you do. Sound expensive? You just might be surprised how affordable we’ve made it. Contact us to learn more. 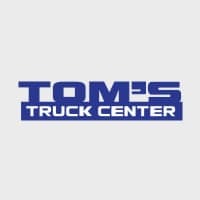 Tom's Truck Center is a full-service truck dealership. We offer new medium duty trucks from Isuzu, Hino and Fuso as well as a wide range of used trucks. Any of our new or used trucks can be customized to meet your specific needs.